Not only companies can benefit from setting up mobile application solutions that will help you manage your financial goals in activities like investing. There are many available finance application tools that you can choose for your personal computer, smartphones, and other mobile gadgets. But first of all, your financial objectives must be clear as they are requisites on the process of selecting the best personal finance apps. Financial tools includes investing tools, budgeting applications, bank account management, and of course, the personal financial calculator. There are free finance apps that you can download on your personal computer, as well as paid mobile finance apps where you can subscribe on a monthly fee. If you choose to utilise free personal finance apps, you must make sure that these apps should come from reliable sources with good users’ ratings to prevent being robbed of your personal financial information and data. There are banks, investment companies, credit unions, and other financial organisations that offer lower costs of personal finance apps tools. However, most of them focus on marketing products and services which you may not need. Always select the personal finance apps solutions that contain the features that can supplement the financial company are offering you. Like any other mobile applications solutions, personal finance apps will serve you best when they are utilised appropriately. 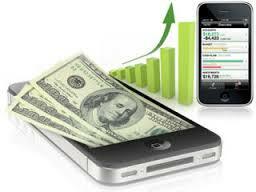 It should provide you with the information and data about the status of your finances anytime you need them. It should also provide you with the information of areas that need immediate attention and the status of the objectives you have set. Using these personal finance apps will assist you to handle your finances well, including your investments successfully. Apptiv Digital Mobile Development Services has reliable and experienced team of mobile apps developers who can assist you in creating the right mobile personal finance apps. Contact us now and let us start discussing about your goals.